Spring time in the garden is the best!!! Beautiful blossoms out on the trees and the scent of fresh blooms and newly cut grass...hmmm just take it all in. Spring time in my garden has to be the busiest time in the garden all year and I love it. This year spring has been somewhat wet and I am feeling very frustrated at not being able to get out into the garden. However this weekend wet or shine will have me in the garden getting the garden ready for spring and the coming summer. 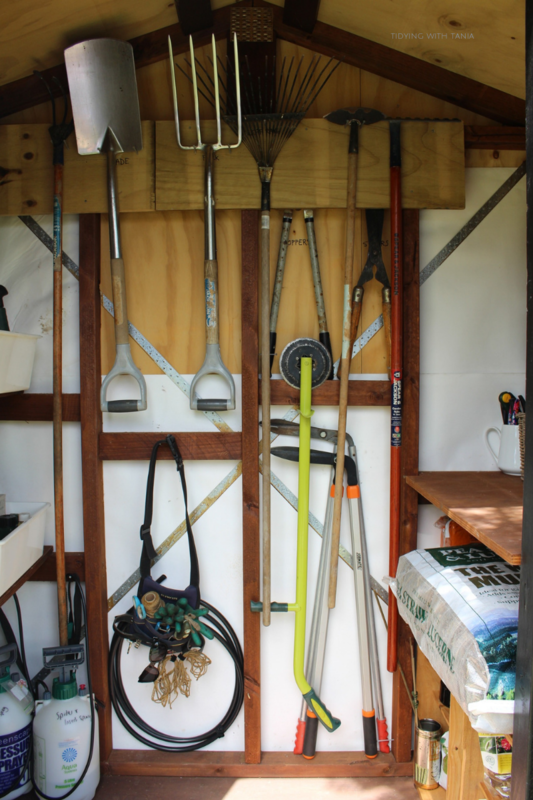 So let me take you through how I "spring clean" my garden!. Twiggy, My little helper in the garden. Now I am no expert when it comes to lawns and I don't even mow the lawns, however I hate weeds in my lawn. Over the years I have used a few different approaches to the old lawn weed issue, nothing actually beats digging out the weed root and all, however it's very labour intensive. So I simply just spot spray the weed with a natural weed killer . Sprinkle a bit of lime over the lawn to help balance the ph level and replenish the nutrients. A quicker and easier option is to use Weed n Feed which I have used before and works well. It's also a good time to sew some lawn seed if you have patches to repair. We have had a bit of damage to the lawn on the west side of the house that we have landscaped, so it just needs some seeds sown around. When doing lawn patch repair try and make sure you get the same grass seed as the exisiting lawn, otherwise your lawn might look a bit patchy. A good way to do this is to take a close up photo of the grass and take it into a garden centre, they will be able to match you up with the right seed. There is nothing like a tidy and neat lawn edge. I am a bit particular about my lawn edges and this time of year they can get away on you, so giving the lawns and garden path edges a good trim can make a big difference. It's good to do this now to prepare for the the spring and summer growth. I also do some trimming and light pruning of bushes and trees, mainly my roses. Here in Auckland you do not get the cold frost so the roses tend not to go dormant, so I wait until September to give them a good prune and stake them in preparation for the rapid expansion of size with the spring and summer growth. A good old dose of Round up on paths and driveways is needed at this time of year. I just make up a concentrate mix and use a spray applicator and walk around the house attacking these little blighters!. It's also a perfect time to weed your garden beds. I do not use any weed sprays on my garden beds, just dig them up with my trusty trowel. Over the spring and summer months you do have to regularly weed the garden other wise the weeds can get out of control, but hey it's a great work out. A good weeding job once a month should be sufficient to manage the weeds. All plants get very hungry in spring with all their new growth so it's really good time to provide as much food and nutrient to your plants now to prepare them. In my vege patch I add in my home grown compost mix, it smells really good and the vegetables love it. I also add in sheep pooh pellets as the vegetables plants start to produce. Make sure that you have a good watering system also set up. This year Pete is putting in some water tanks so we can use the rain water off the roof to the vege garden in summer. My citrus plants get a good dose of fish compost, any organic citrus fertiliser is good and pea straw around the base to keep the moisture in over the drier summer months. Early spring is a good time to plant out any new plants that you want in your garden. This year I will be adding another Hydrangea and some Hostas, so I am on the hunt for these in the garden centres. Although it sounds like a lot of work, it is not really, generally with two days of solid work in the weekend you will tick off most of these chores and have your garden and outdoors space all ready for the arrival of spring and summer...so you can sit back and relax and enjoy your beautiful outside space. 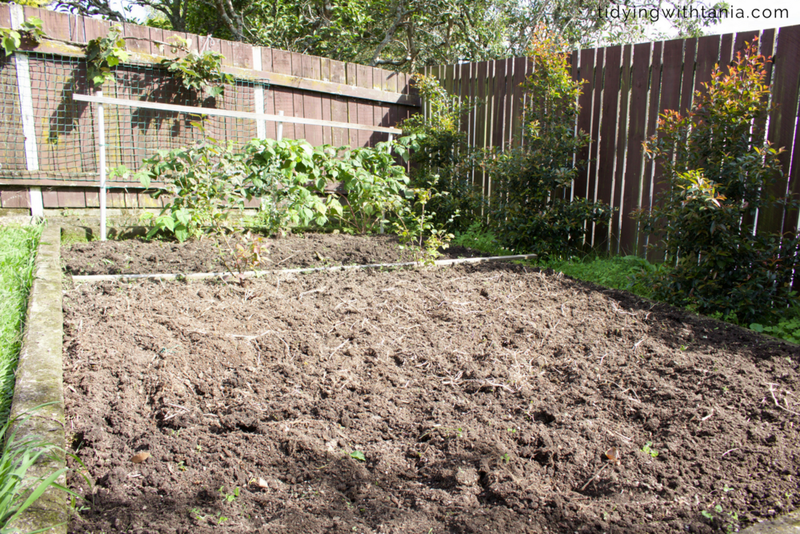 If you like this post , check out my post this time last year on creating a seasonal vegetable garden. 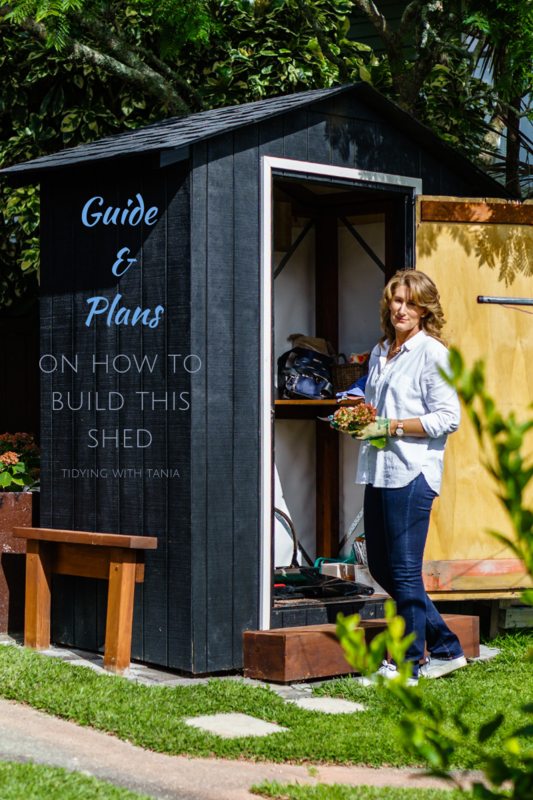 Make sure that you subscribe below to get my regular newsletters, where you get even more awesome tips and ideas on organising around the home and garden. And don't forget to follow me on social media, below, where you may well see more Cat pics! My very first vegetable garden was as a teenager …a long time ago. I had a little piece of dirt near the bike shed. I recall the poor quality of the dirt and the frustration with my limitations with access to good compost. However I did manage to produce a lot of raddish's and rhubarb. The raddish's were sweet, hot and yummy and the rhubarb got turned into fruit crumble with lots of sugar and cream to dull the tart taste. Forward several years, actually decades and I'm still at it and still loving getting my fingers in the dirt. 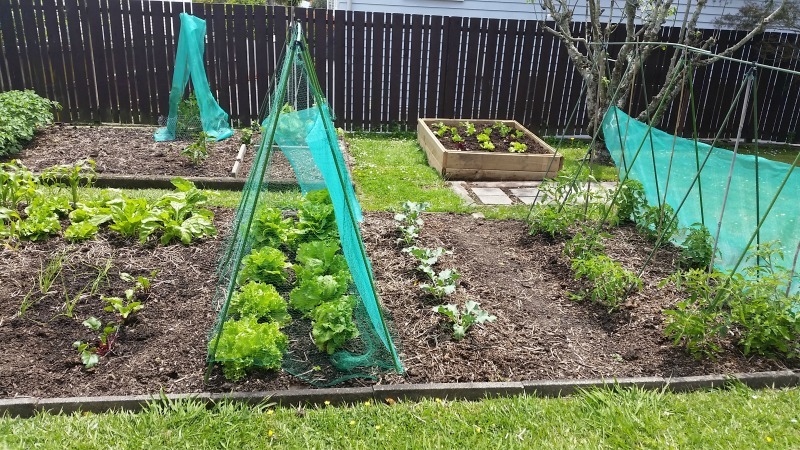 It is spring here in New Zealand and I am just in the middle of getting my spring and summer vegetable garden planned and prepared. I love this time of year, fresh blossom scents in the air, followed by sneezing fits, dam the pollen. I thought that I would take you through how I prepare for each season. It is very much the same process, just different crops depending on the season. It all starts with my notebook, it's my garden bible. In my notebook I write everything down about my garden, what I planted, where I planted, when I planted, quality of the crop, health issues, weather, everything that I experience in the garden for the season. I do this for each season. This gives me a really good view of how my garden works and what grows well and where. As I am currently planning for my spring and summer garden I look back at last years spring/summer garden notes as reference. I decide, based on the success of last years crop, what I am going to plant, noting the variety to buy. The garden planting plan is the next step. I do rotate my crops so, again checking on where I planted last year is important. Once I have mapped out the planting plan, I then work out the timing. Timing? Ok so to work out when you want your crops to be ready you have to work backwards to figure out when to plant. Simple example of that is new potatoes and baby peas for the Christmas dinner. To be able to harvest in time for Christmas day I must have the potatoes in by early September. If you are not sure of the timeframes just check the information on your seed or plant packs. They normally describe how many weeks to harvest. This is where you realise that you are not garden fit, but don't worry you will be by the time you have finished. It is just a matter of hard manual labour, digging, turning soil over and composting. You can use your own compost or source some from the local garden centre. Just ensure that it is a good quality one as you don't want any bugs or foreign weeds in your patch. This is where I do a shout out for ZooDoo, yes that local zoo pooh that has been turned into rich organic matter. It's a bit smelly but pretty special. You must have a lovely rich soil base to grow strong healthy vegetables, so this stage is really important. This is my favourite bit, as once planted I sit back and watch my babies grow. You may be planting out over a couple of weeks depending on the timing of your harvest. I do cover my seedlings initially to protect the from the birds. Do be careful not to cover for too long as they need full light to grow well. I like to plant at the end of the day and water them well in the cool of the early evening. I think this is the best time to water as it really soaks in. Always read the planting guide just to ensure that you are planting them out appropriately. As an example Corn needs to be planted in a square/block as opposed to a row. Growing vegetables need a lot of food and water. During the growing season I build up the soil by composting regularly. I do try and be as organic as I can be with my feed and compost as I believe it makes yummy vegetables. There are some good organic options that you can source from garden centres. However I do not think you can go past good old worm juice. Over the years, I have noticed from my notes, that I don't get as much disease and bugs when I have been consistent with good feed and compost. And lastly don't forget to water, a lot. 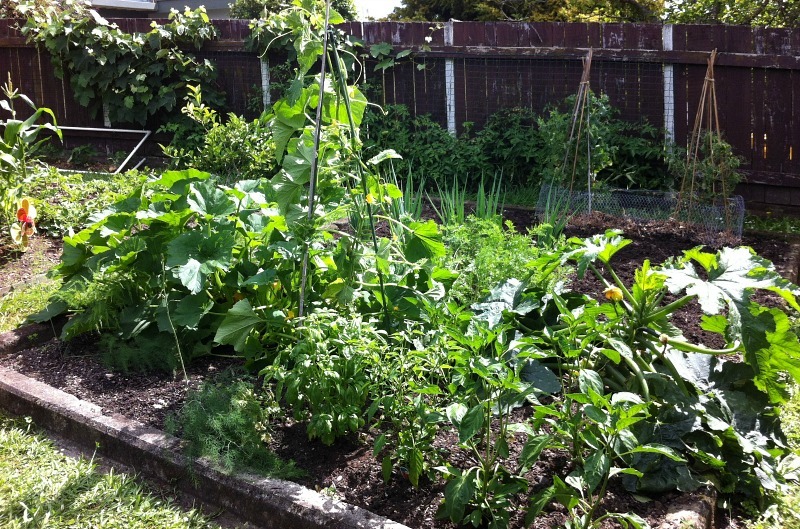 In Auckland we are blessed with rain, however even in summer it can get a bit dry so I do water the vegetables. A couple of times a week is good if it is very dry. I always water in the early evening as its the best time for the soil to absorb the moisture. 2015/16 first harvest of peppers, cucumbers and tomatoes. I hope that you enjoyed this post and may be you got something useful from it. Please let me know if you have any questions or any other aspects of seasonal gardening that you want to know, such as composting, feeding, or crop varieties. Enjoy the fruits of your labour!